*Free with RSVP . Donations are accepted. The North Bay Mobile Drive-In hits Novato with a renegade outdoor film screening in this DIY flash mob drive-in movie where you watch a flick on a 30-foot screen, tune your radio to 88.3, and drink in your car. The shows begin with a 20+ minute pre-show with trailers and a cartoon. There’s a 15 minute intermission halfway through the presentation with bonus featurettes and raffle prizes. Concessions and raffle tickets are available during pre-show and intermission. There is no grass, so you’ll either want to sit in your car, or bring a lawn chair or blanket. 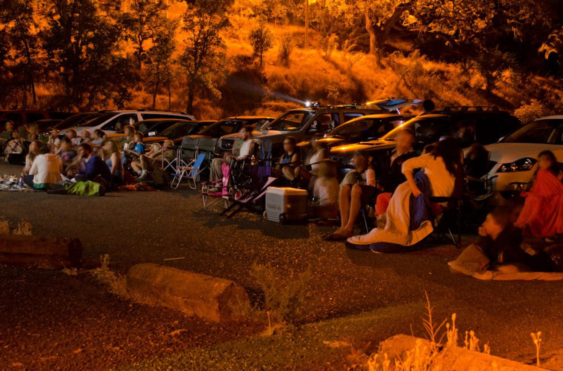 This is a free drive-up movie show projected onto a wall in a paved lot – if you want to sit outside your car, bring blankets and lawn chairs. Start times vary throughout the summer so please take note each show. Unrated, ‘R’ and ‘PG’ rated films may contain content unsuitable for young children. Please note, throughout the summer the start times vary depending on sundown. PLEASE expect to arrive 30-60 minutes before the show if you want to park and watch in the forward row. No cars will be admitted after the movie has started. Donate for snacks at the Concession Stand equipped with popcorn, hot dogs, candy and refreshments. There’s usually themed cupcakes and/or other treats plus a raffle with awesome prizes. Please note that the event was previously scheduled last April 2 but was postponed due to rain. The event was moved to April 13. 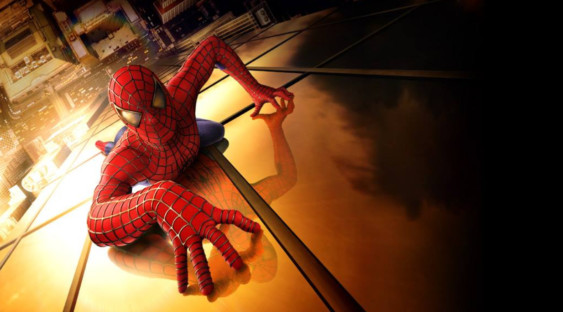 Come join the excellent 2002 version of Spider-Man directed by Sam Raimi and starring Toby Maguire and Kirsten Dunst.